Isabella loves to be outside. 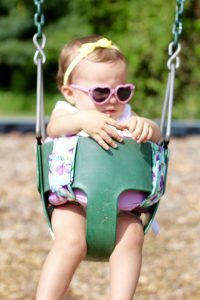 I will say though, since she was very little she has been hot and cold with the swing. 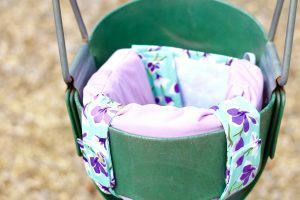 Bucket swings are just that, buckets! 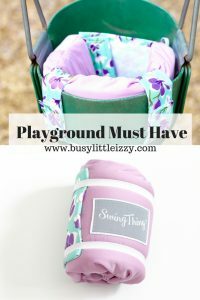 They are so big that your child is often lost in them and they never really seem to be secure. 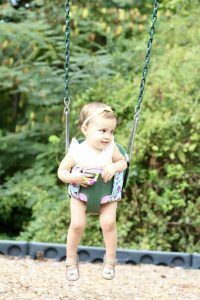 Especially before your child is big enough to really stabilize or hold on tightly. I found the bucket swing best friend SWING THING! I love that Izzy now feels secure in the swing and smiles every time. 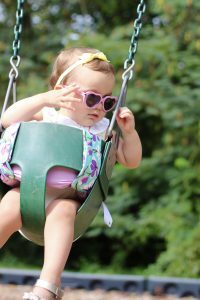 The fear of not feeling secure while the swing was in motion made her very uneasy. She would not cry, but sign all done and I hated that for her. She has always been a child that is cautious while being adventurous. She can now just relax and have fun. As mommy, I also feel better about knowing she’s fitting more comfortably and securely. I only wish I found it sooner! 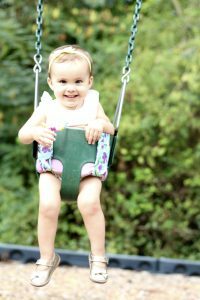 Izzy felt safe and secure in her swing and was smiling. Many moms are not only using it for the park but also in the grocery store. 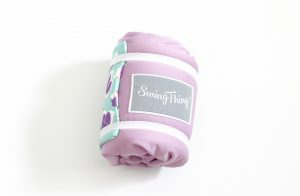 Check out the Swing Thing Instagram to see how others are using it in the shopping cart as well. 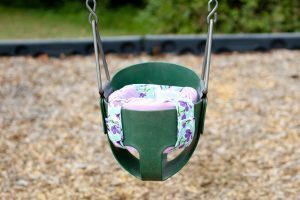 If you want to grab a swing thing for your baby click here. Seriously a great invention!! I need one for Gabriel! The creator is from my hometown. Such a brilliant creation from a great woman. Honestly this is so smart!! I agree, we were at the park the other day and Landon was just WAY TOO SMALL to not fall over in it, but he really enjoys the motion of rocking or swinging. This would be perfect for him! OMG this is AMAZING!! I need to get one of these for Gio, I’m always so worried about him in those big swings!